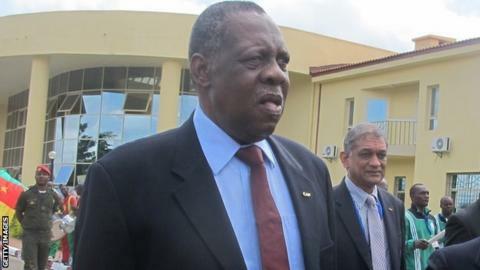 Confederation of African Football (Caf) president Issa Hayatou says Nigeria's failure to qualify for the 2015 Africa Cup of Nations has not diminished the country's importance to the structure of African football. Reigning champions Nigeria will not defend their title in Equatorial Guinea after they finished outside of their group's top two automatic qualification spots. They ended the qualifying campaign with eight points - a total not good enough for the best third-placed team. Hayatou told Nigeria Football Federation (NFF) president Amaju Pinnick that the entire African football family will feel the absence of the Super Eagles at next year's finals. "The whole of Africa will miss Nigeria in Equatorial Guinea. But the absence will not in any way diminish your stature as a very big and influential nation in the African game," Hayatou was quoted as saying in an NFF statement. "It would have been good to have the defending champions in Equatorial Guinea. "Nigeria brings so much value to the Africa Cup of Nations. However, we know that you will come back much stronger, as you did in winning the Cup in South Africa last year after missing out on the 2012 championship." The West Africa country suffered a troubled qualification campaign where they not only struggled with form on the pitch but were also affected by deep divisions in the NFF. Coach Stephen Keshi's position was also unstable, and he was frequently in and out of the job. Meanwhile, officials have reiterated that Nigeria will host Brazil in a prestigious friendly in March 2015. The NFF says the game against the five-time world champions will go ahead as planned on 29 March at the new Akwa Ibom stadium that was opened in early November. "Everything has been finalised for the friendly game to go ahead as planned," NFF president Amaju Pinnick told BBC Sport.